Do you love science as much as we do? Science has been my favorite subject for as long as I can remember, and it must be genetic because my son loves it too. 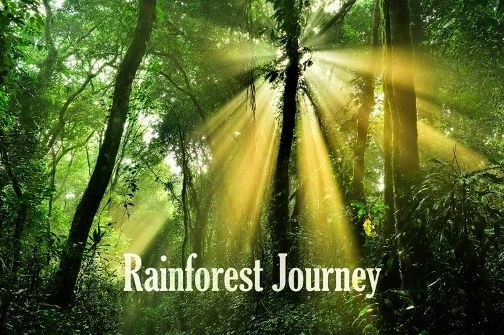 We were in between science topics, having exhausted all there is to know about meteorology (seriously, I earned a minor in meteorology in college...) so we were both over the moon excited to find out we were chosen to review Rainforest Journey by EdTechLens. For this review, we received a one year subscription to Rainforest Journey for 5th Grade. 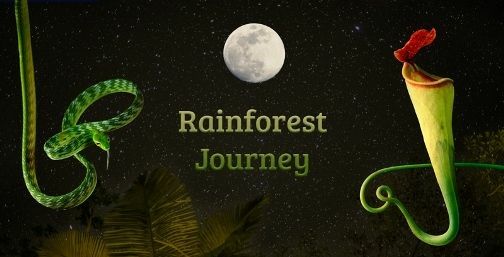 What is Rainforest Journey? When you sign up, you must select the number of students and the grade level you need. for us, that was 1 student and grade 5. You add your child, and he/she is given a unique user name, such as Nice Worm 845 or Green Leaf 49. So each student will have a unique username and password. At first, I was a little put off not choosing my son's user name, but he loved his so much he decided it was his new nickname! The teacher (you) also must choose whether your student works in order and only progresses after completion, or if they can jump around. We chose to access only after completion. After you get all logged in, your child starts at the course outline. From here, your child can start at the beginning, or where ever they left off. Mr. B found it helpful, and motivating, to see his progress bar change after each lesson. He also found it helpful to have varying pictures for each lesson, and a check mark to indicate that portion was complete. This helped him to easily see what he had already finished, and where he needed to start each day. Once your child chooses the appropriate Unit, they are given the choices for the Chapters, Vocabulary, and Illustrated content. I loved this! He has everything he needs in a convenient layout that is easily navigated. Each lesson features reading content. On the Teacher's side, we are provided with Lexile scores for each reading passage. If you have a struggling reader, they can choose to have the passage read to them, as you can see below. Mr. B is a fantastic reader, but he still chose to have the passage read to him while he read along. Each lesson has GREAT photos, like these, that capture your child's interests and attention. I really like the Primary sources. These are additional photos, videos, and a daily journal of the Rainforest adventure that brought us Rainforest Jourey. On the Teacher's side, I was easily able to track his progress and score. This is particularly useful for end of the year portfolios and record keeping. The user interface is very friendly. There's no endless searching for what I need. It's all right there. The only hang up I had was when he took his opened ended test. This is a test that asks essay style answers. I completely overlooked the little notification alert in the upper right hand corner of my screen that gave me access to grade this. While that is a great system, I do wish there was an access point under the "Manage Class" tab. It is suggested for your child to use this for 15-30 minutes for each lesson. Mr. B really likes this so we typically used this all 4 of our school days. He often completed more than one lesson at a time, and some days he would re-do lessons just for fun. I took a day each week to grade any open ended work that needed grading, and I graded each daily paragraph assignment with him so that we could talk about it more. Sometimes he would do the end of lesson writing himself, and other times he would narrate while I wrote what he said. This is a screen snip of the PDF worksheet that goes along with lesson 1. This is a screen snip of some of the vocabulary words from Unit 1. These would be great for spelling lists, sentence prompts, or dictionary races. He has really enjoyed reviewing Rainforest Journey by EdTechLens. He frequently asks questions and talks about the different layers of the rainforest. I his words, "This isn't school work! It's fun! I love it!" He asks me, almost every day, if he can do his EdTechLens first. He really enjoys it. I don't find the lessons too long at all. Actually, they could stand to be a little longer, but they do a good job covering the bases of each lesson. I would personally like to see more worksheets to print for each unit. Even if it is just crossword puzzles, or fill in the blank style. It is important to remember, this isn't intended to be a full, standalone curriculum. It is for enrichment and supplement only, for now. With over 30 lessons, you could easily use this as the basis of your science, and add to it as you see fit. We really recommend it for anyone who wants a program that is colorful and attention grabbing, while also teaching a topic without taking up a lot of time doing so. 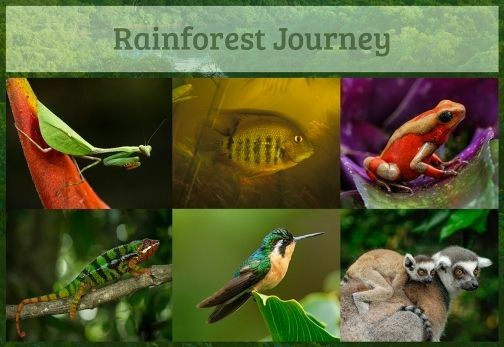 Does EdTechLens Rainforest Journey Pass My 4 Ingredient Test? You have the option to choose whether or not you want your child to have the ability to move freely around the course, or go in order. I chose to go in order, with him needing to complete each lesson in order, so that he could learn in the order the program presented the material. I felt this was best. You can easily set your own schedule and work faster or slower as needed. While you can jump ahead, I felt the lay out of working in order to make the most sense. You are locked into specific grade levels. If you have more than one child, there are discounts available for additional children for the same grade level. Since each child has their own unique login name and password, you can have varying grade ranges working on this, but each different grade level needs to be purchased separately. Each level has the same material, but they differ in the amount of information and level of work. The subscription lasts for 1 year after you add your students. There are NO hidden fees. We found this to be very attention grabbing and not boring at all. Mr. B loved looking at all of the colorful pictures and videos. We both really like the Primary Sources area that has even more videos and pictures, and details a trip through the rainforest. The topic isn't varied exactly, since it is all life science based in the rainforest, but the topics and visuals are so varied that it is still appropriate for ADHD and autism. It definitely doesn't last too long. 4.) Does it tie into other things we already have. This only focuses on life science in the rainforest. There's no other subject components included. Please click the banner below to visit the Schoolhouse Review Crew blog where you can find links to dozens more reviews by my fellow crewmates!